Me ship urgently needed repairs. Our small electricity generator had been under the weather and we needed to find a shore for spares. The lookout spotted something spectacular in the sea. There was an island with a single grand palace on it. Intrigued and left with no choice, we decided to dock on this island. Upon closer inspection, we found that the palace had some restaurants within it. All the lads wanted to join me on this fancy excursion but the ship Engineer claimed dibs on the spot. She said that she needed to find spares on tis island and hence is the ideal candidate for the restaurant party. Well no one could argue with that sound of a reasoning. To quote Hawkeye "The city is flying! We're fighting an army of robots! And I have a bow and arrow! None of this makes sense!". 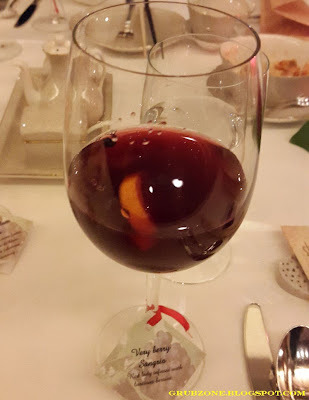 I was invited to Shanghai Club (within ITC Grand Central) to try a new Sangria menu (plus seafood) made by Chef Yuanzhong Jia with in an Asian themed restaurant. While the seafood made sense, I was surprised about the Sangrias. But just like the Avengers movie, sometimes things that make little sense together turn out to be a great experience in the end. ITC's Grand Central is a majestic property. Located away from the busy main streets, this palace like place always wins the peeks of the people passing by. I mean, would you look away if a gorgeous Ferrari drove past you? A little late to the party, I was escorted to the restaurant by the maitre. At first, I was a little confused since the restaurant I entered was of an Indian theme but that was just the part of the way. 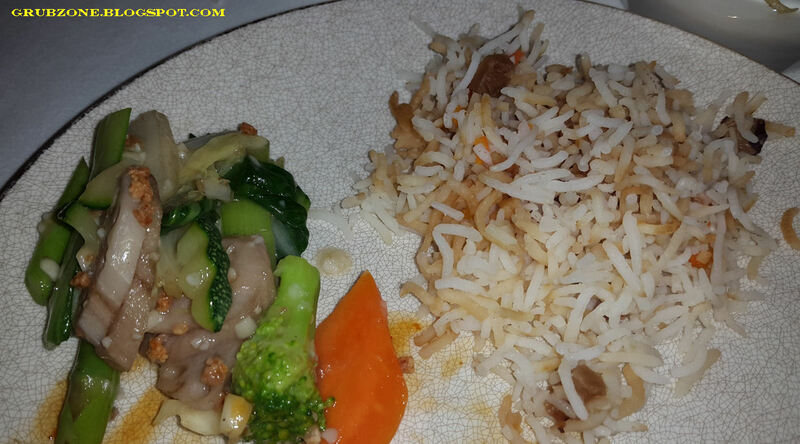 Adjoining the Indian restaurant was Shanghai Club. The decor was quite intriguing. 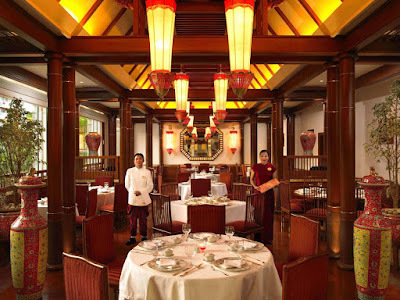 It looked like a miniaturized version of a colonial era Chinese restaurant. The vases may not have been Ming era relics but they did invoke the name in my head. I joined a group of connoisseurs seated on a large communal table. The theme of the dinner was Seafood and Sangria. Hence we were presented with a quartet of four Sangrias. Each of these was an excellent concoction on its own. Very Berry Sangria was made by blending berry juices with Red Lady Merlot. This clear Ruby colored Sangria had a tangy flavor with a strong undertone of the wine. 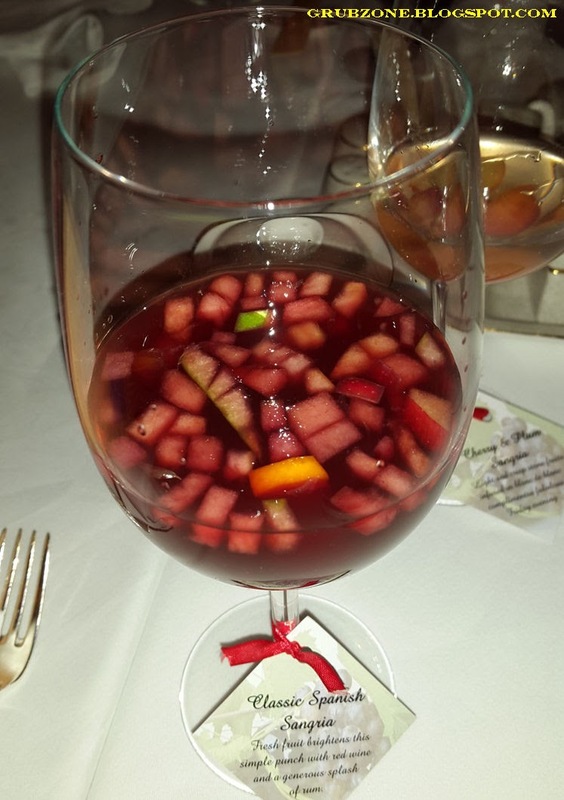 Classic Spanish Sangria was a twist to the classical concoction with fruit punch and rum mixed with red wine. It had chopped and diced fruits added to it as well. While the fruits definitely felt one with the Sangria, I did feel that the fruits were a bit more than needed. Cherry and Plum Sangria was made with the flavor of Cherry and Plum fused with White Wine. 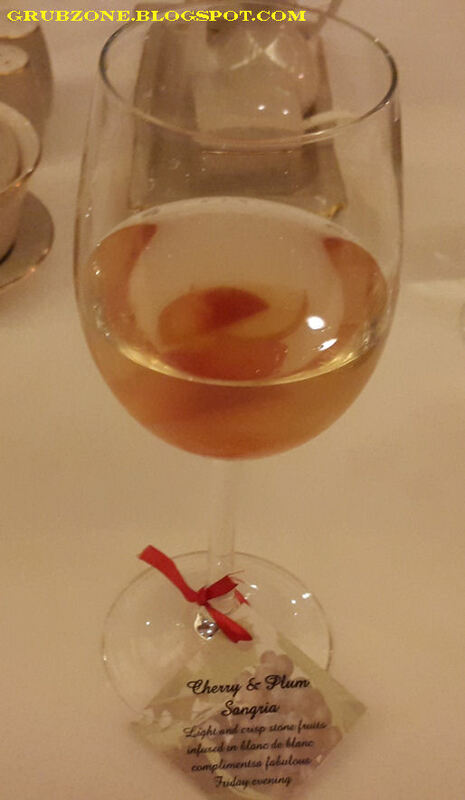 The sweet fruity flavor of Cherries and Plum seesawed with the tang of the white wine. 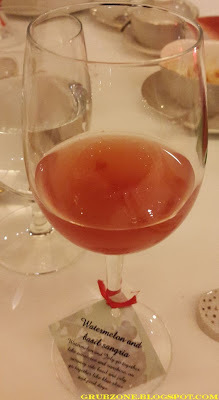 It was an interesting experience for someone who had come to associate Sangrias with red wines only. Like most people, I always save the best for the last. Watermelon and Basil Sangria was undoubtedly the best amongst the Sangrian selection. The melon's tropical flavor combined with the wine provided a soft soothing sensation to the taste buds while the basil provided a savory kick when the drink went down the hatch. I very much enjoyed this and it seemed to pair well with the seafood for me. Tis was a rich experience. Moving from the divine wine, the second half of the game began with the Seafood. We were informed that some of the served delicacies were from the restaurant's Asian style set dinner meals all of which come with an unlimited pours of Sangria. Captain : Cheers lass. A toast to us not finding any spares and yet fine dining without notice. Engineer : Its fine Capitan, as long as we don't tell the crew about this. Captain : Aye, they'd be envious. 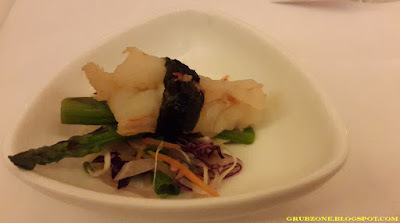 Steamed Prawn with Asparagus was a bite sized amuse gueule that seemed to go well with wines and also signaled the diners about the food to come. 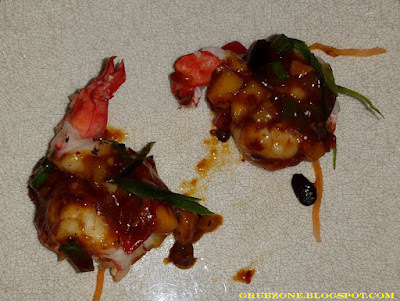 Steamed Scampi was tossed with Hotbean sauce and Mango. The shrimps seem to go quite well with the sweet savory mixture. 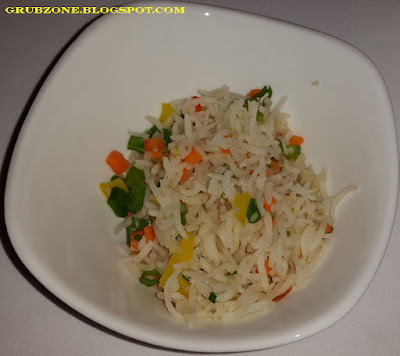 It made me crave for more, hence was a good appetizer. Crispy Pomfret was a relatively simple dish made with fish and Barbecue sauce. 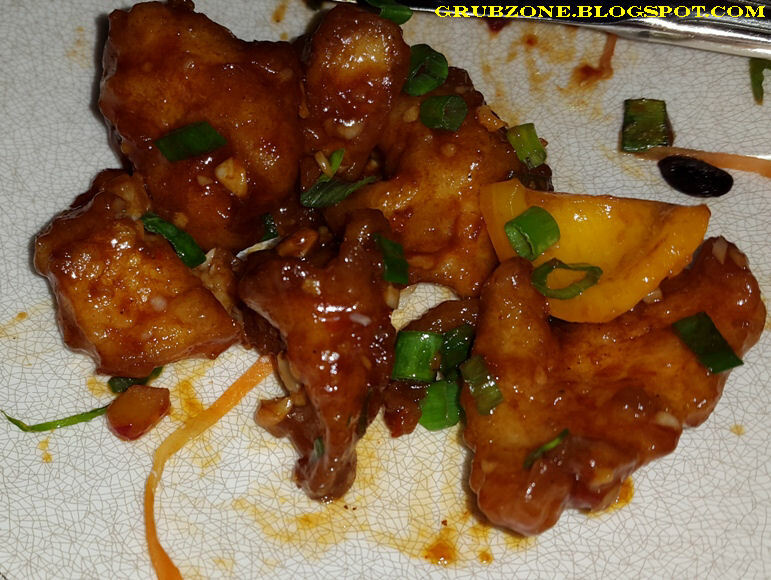 The appearance was soft and smooth, the taste crunchy and the Barbecue sauce created a juicy sweet flavor. This goes on to show that a simple preparation done right can do wonders. I was quite thankful that they did not use the overused Basa. Shanghai Club lived up to its stature of a fine dine. 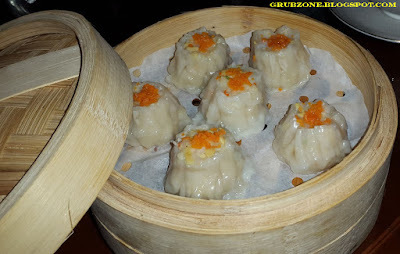 Prawn Bamboo shoot and Water chestnut Shumai was the classical Prawn Siu Mai. The flavor of the prawns somehow was suppressed by the Water chestnuts and bamboo shoots making the dumplings taste unnaturally vegetarian. These were still better than most dumplings I have had but these could have easily been better. Singapore Chilli Crab with Egg white was a grand looking Crab dish which would make any Asian restaurant jealous. I usually avoid Crab dishes because they tend to be messy and I am averse to breaking the shell. Today, the crab invited me. Knowing fully well that its impossible to go the fork and knife route on the crab, I took it in my hands and in one stroke broke the shell as if I had been doing it for a very long time. Then I enjoyed the delicious meat literally oozing out. The egg white made the flavor rich and the greens really lit up the plating. It was a bit surprising that this was served before the appetizers. This feels more fitting as a main. I enjoyed the crab and it also felt like a little achievement - breaking the shell on my own. No pun intended. 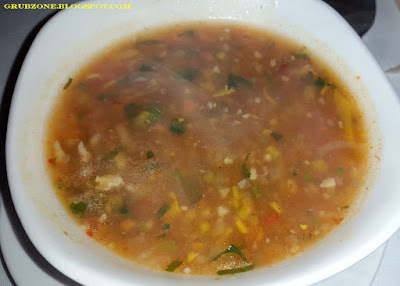 Seafood Chilli Butter soup had an eclectic mix of flavors. The lemon's sour citric flavor at the first sip reminded me of sweet and sour. But then the Chilli came barging in and made itself right at home. Bits of seafood provided a satisfying experience. The aroma was quite appetizing too and the colors very appealing. It was carefully crafted and the pieces had been placed together just right. I found myself finishing this to the very last drop. Steam River Sole was freshwater sole cooked in a ginger Soya concoction. While the fish tasted well on its own. I felt that the Ginger felt a little offbeat. It could very well have been a personal thing but somehow this dish did not appeal to me. Had the ginger concentration been slightly lesser then this dish would have been more palatable to me. 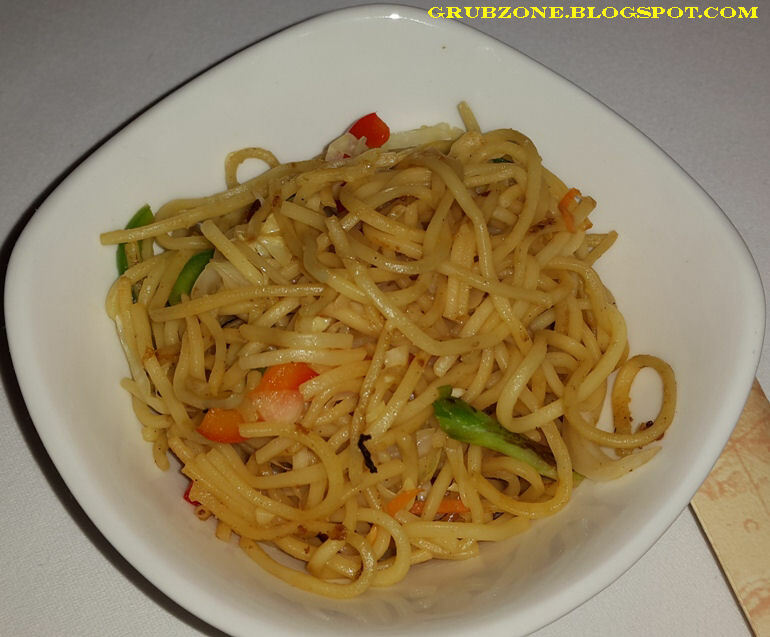 Stir Fried Lobster with Guzion sauce was without a doubt the highlight of the night. The dish was plated well. It smelled heavenly, enough to overpower the greatest seafood epicure and certainly the regular guy who uses an oceanic theme in his posts. The lobster was soft and succulent. It could just melt in one's mouth like butter. The sauce added most of the flavor. Sadly, I don't have the slightest bit of knowledge about Guzion sauce nor could I google it up. 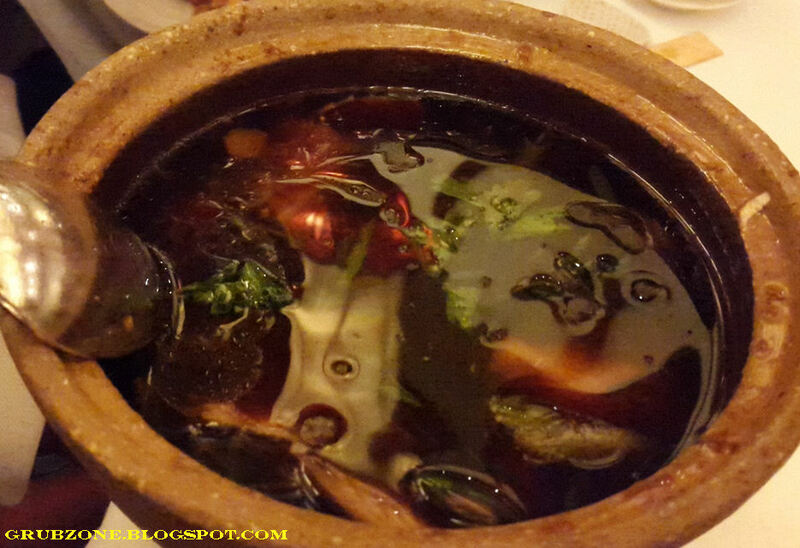 But it looked like a mixture of Garlic, Soya, chilli and perhaps a bit of meat stock. I can describe its flavor as salty, savory and tasty. Captain : I wonder what Guzion is. Crewmate : Who cares Capitan? Its tasty. Captain : Go easy on the food lass. Think of your Captain. Not much to write about the rest of the mains. Stir Fried Asian Greens tasted average. Steam Rice and Fried rice both seemed to be made of Basmati. These would have been closer to the authentic deal had Jasmine rice been used instead. The noodles looked and tasted ordinary, though they seemed to complement some of the meat mains well. The best part of the dinner was definitely the Dessert's selection. 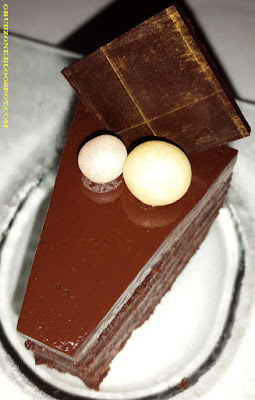 New World Star Anise Torte was quite a visual delight. Almost perfect in appearance, its top layer reflected light like a silvered mirror. The white marshmallow pearls and chocolate tile provided perfect plating. The star element(excuse the lame pun) was the Star Anise. This Chinese spice often tastes like liquorice. The layers look delightful and the star anise provided the unique twist. Although I can't say that it was my favorite of the night, it still made me quite happy. Captain : This reminds me of my trips to the New world lass. Engineer : Are you going to make a Caribbean reference now? Captain : I would have, but you called it out and ruined it. 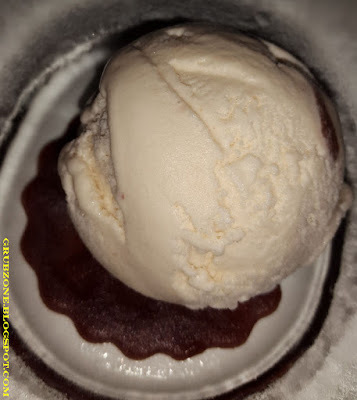 Red bean and Vanilla Ice cream was mostly premium vanilla ice cream. Since I have had Red bean ice creams during my Hong Kong travels and loved it, I did expect something of a similar quality here. The red bean flavor had not fused with the ice cream and instead the few Red beans present had sunk to the bottom of the ice cream. A true red bean ice cream has red bean bits present all around the serving. 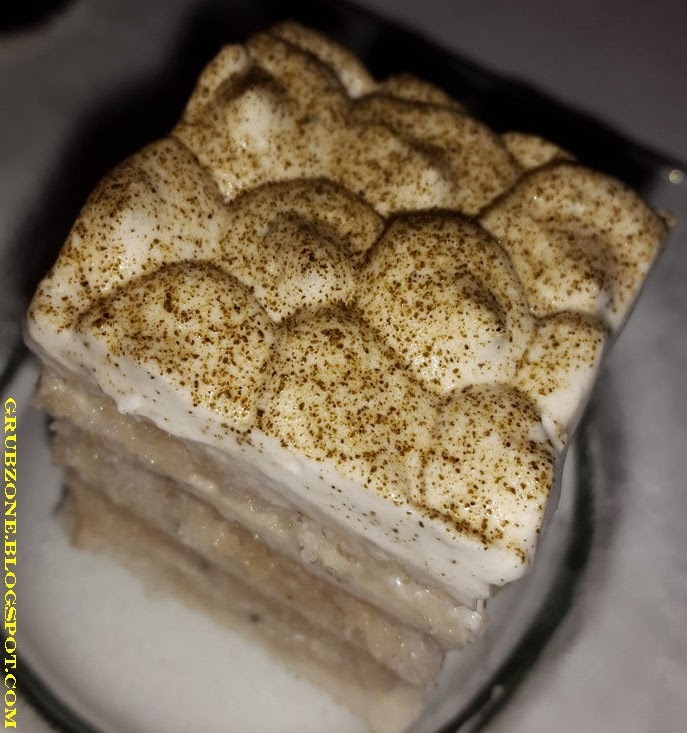 Jasmine Flavored Tiramisu can best be described as the orient meets the occident. It was a premium quality Tiramisu blended perfectly with Jasmine flavor. In a true case of "How is this even possible? ", the sweet aroma and essence of Jasmine had partnered well with the mochastic Tiramisu. The cream layering at the top had a beautiful texture as seen in my picture. This dessert satisfied the eyes, nose and the tongue. Now only if it could play the piano like Yanni. Captain : Through the soft layer of Mocha and Jasmine cream. Engineer : Ah, the fellows told me about this. Captain : Lies the most delectable island made of cake crusts. Engineer : How does one even get high on dessert? The service was on par with any fine dining outlets. The servers were articulate, knew the dishes well and served properly without their sleeves even nearing the dishes. To conclude, I loved the Basil and Watermelon Sangria. The desserts were fun for the most part, just that the Red Bean ice cream needs work. The crab, Scampi and Stir Fried Lobster were the highlights of the seafood course. Makes me curious about what else is there on the menu. I would definitely come again to try the rest of their menu. Whether some politician's tall claims of remaking Mumbai like Shanghai happen or not, Shanghai Club definitely brings a piece of Shanghai into Mumbai. "All right lads, bad news is that we found no spares. The Good News is we had some great grub. Now back to the seas to find our spares." Loved their sangria's when I was there last time! The watermelon and basil sangria sounds goo, too!